Here the ground area is now inserted with the stainless steel plate. 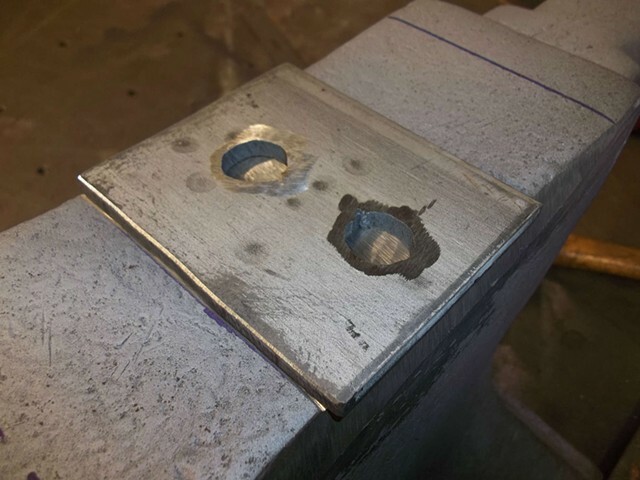 The holes in the plate allow for it to be welded to the plate in the middle as well as around the edges. It needs to be WELL bonded to the face so as to be tough and lasting through the pounding that will happen upon it.